The signal box and junction layout, viewed from the level crossing. 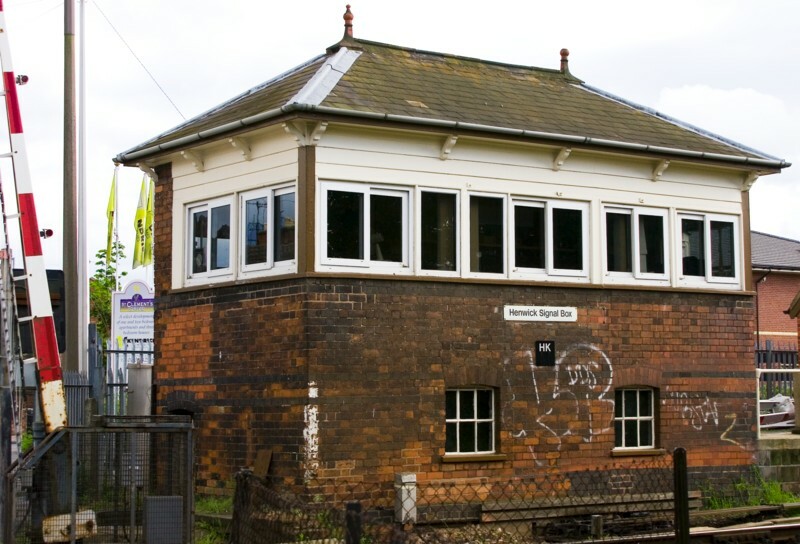 The signalbox at close range. A closer view of the junction, again from the level crossing. Note the 3-car marker for trains that used to reverse here - the signalling has now been changed so they can do so in Foregate St station without needing to come here and back again. A Hereford-Nottingham train approaches the level crossing. A clearer view of the layout, looking towards Foregate St. The double line from Malvern via Newland East enters from below but, since Rainbow Hill Junction's abolition in 1973, the ones leaving at the top are two single lines. 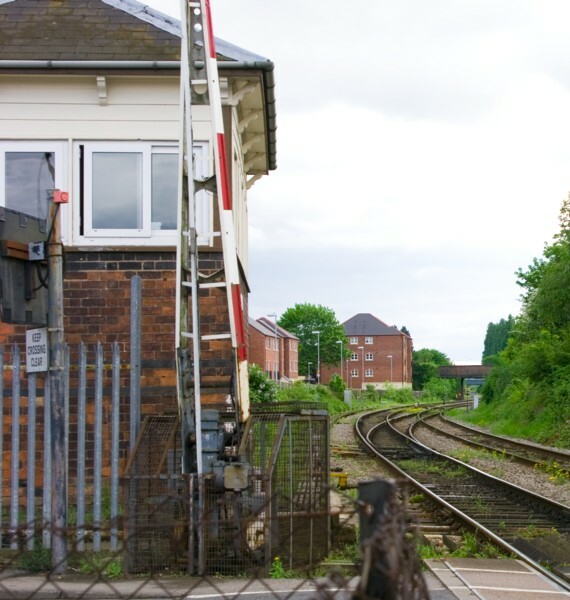 The left-hand line is the Droitwich line, formerly known as the 'Loop', to Tunnel Junction, while the right-hand one runs to Shrub Hill. The siding on the left is rarely used nowadays. 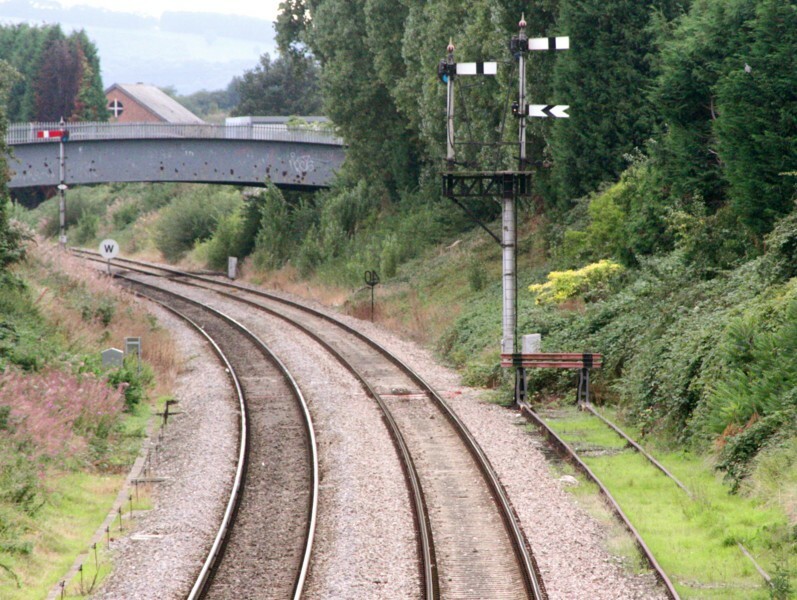 The approach from Malvern, looking in the same direction from further back with the junction signal in the background and the down starter close up. The white rectangle painted on the bridge dates is a sighting area dating back to Rainbow Hill's days, when Henwick's up innerhome, with Raibow Hill's lower-arm outer distant, stood just in front of it. The same signals, viewed from the road bridge in the photo above. Before Rainbow Hill's abolition, Henwick also used to have an up outerhome the other side of the metal bridge. This was the remnants of a splitting signal - going back even further, the siding was originally a goods loop with an arm on the outerhome to control its entry. 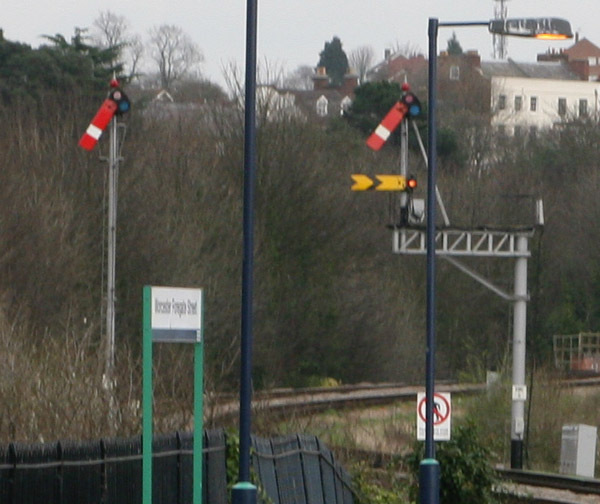 A close-up of the junction signal, with the Shrub Hill arm pulled off as a First Great Western train to Paddington passes. 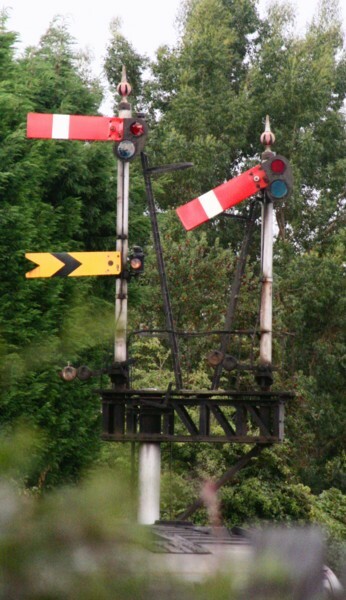 Because the Droitwich arm has Tunnel Junction's fixed distant below it, this signal is fitted with AWS magnets. When this layout was first introduced, a common practice was to run trains from Hereford into occupied platforms at Shrub Hill, under permissive platform working, behind trains preparing to leave for Paddington. On these occasions, the incoming train had to be warned by Henwick checking it at this signal and then showing a green flag out of the signalbox window. 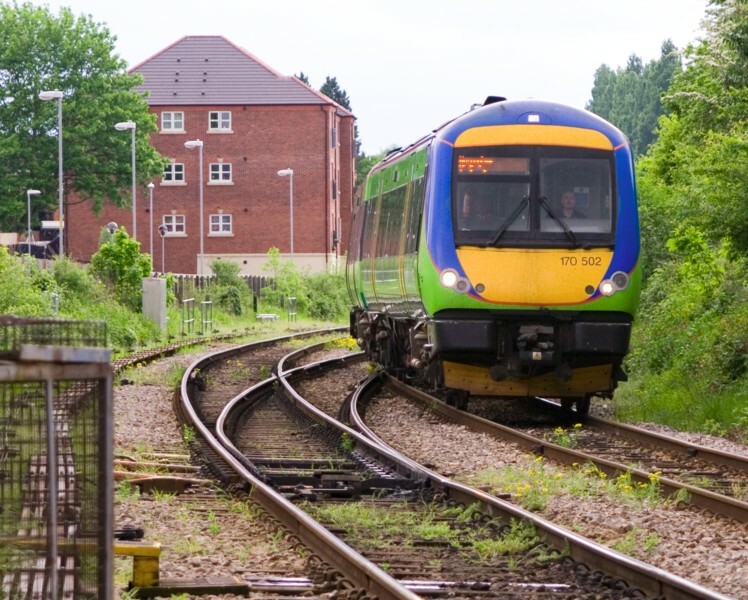 After leaving Foregate St, the train would again be checked at Henwick's starter (see Foregate St photos below) before being allowed to approach Shrub Hill's homes, where a calling on signal would admit it to the platform. When this occurred, or if the train had to wait at the starter anyway for the junction at Shrub Hill to clear, the AWS would give a caution (horn) indication even though the Shrub Hill home has no distant below it. When the train had a clear run, however, and Henwick could pull the starter early enough, the AWS would give a clear (bell) indication. A closer view of the trackwork and Henwick signalbox. 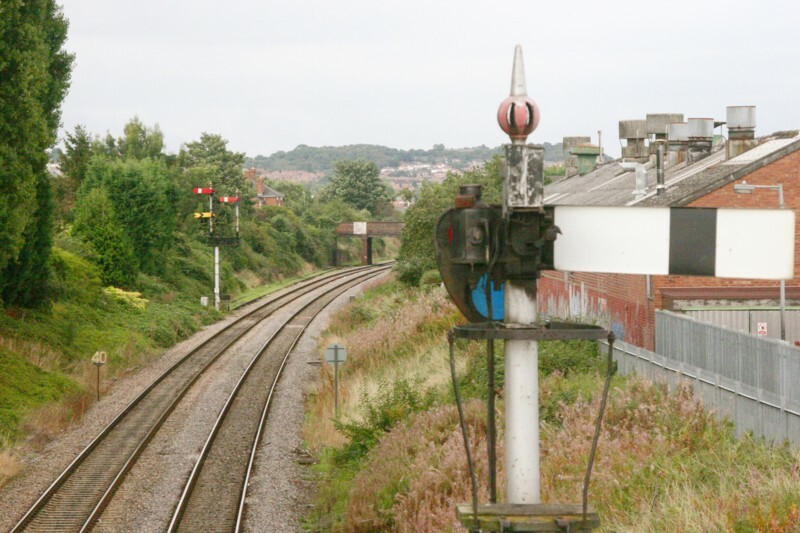 The trailing crossover is an old shunting crossover that predated the Rainbow Hill rationalisation; the facing crossover was added only at that time. The platforms of the former station at Henwick stood between the trailing crossover and the level crossing. Henwick's up starter, with Rainbow Hill Jct's lower-arm inner distant, stood at the end of the up platform and immediately before the crossing; on the down line, there was a home signal immediately before the crossing and a starter at the end of the platform protecting the trailing crossover. Henwick's down homes, looking from Foregate St towards Hereford. 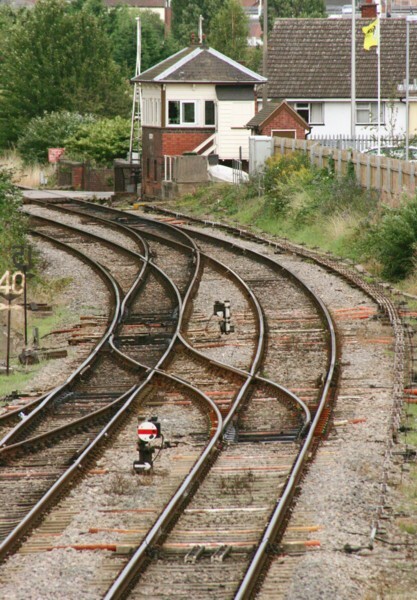 The left-hand line is the branch from Shrub Hill and the right-hand one is the Droitwich line. 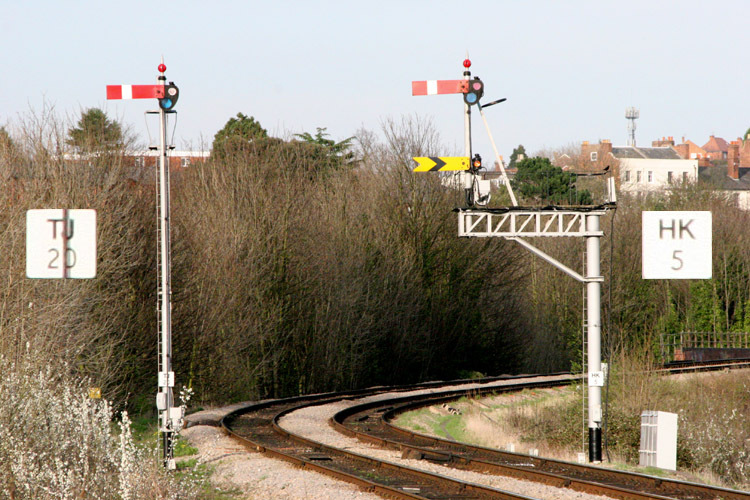 Both signals are about half a mile from the box, motor operated, and return to on automatically as the trains operate treadles. The left-hand signal was previously Rainbow Hill Jct's advanced starter, which used to have Henwick's inner distant below it. Rainbow Hill Jct also had an up outerhome, approximately where the Droitwich line home now is. This was a constant source of delay to Shrub Hill trains as every one had to be checked at the outerhome even if it had a clear run into Shrub Hill. Only if the train was signalled down the Droitwich line could Rainbow Hill give it a clear run and pull off his distants. At the other (eastern) end of the station there are also two similar, motor-operated signals, but one's a home and the other's a starter! 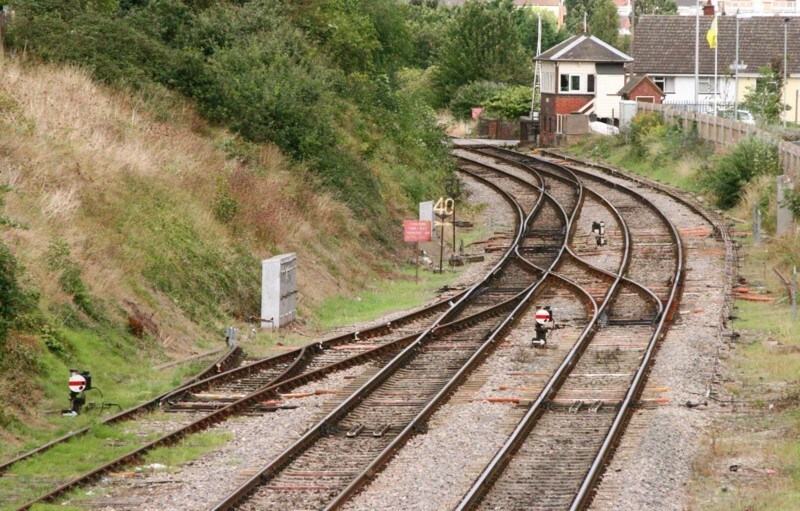 I have inset their signal numbers from the high-resolution copy of this photo; the left-hand signal (TJ20) is Tunnel Junction's down Droitwich outerhome (this line redoubles immediately beyond the former Rainbow Hill Jct - see Tunnel Jct page) but the right-hand one (HK5) is Henwick's up starter towards Shrub Hill, carrying the latter's lower-arm fixed distant. 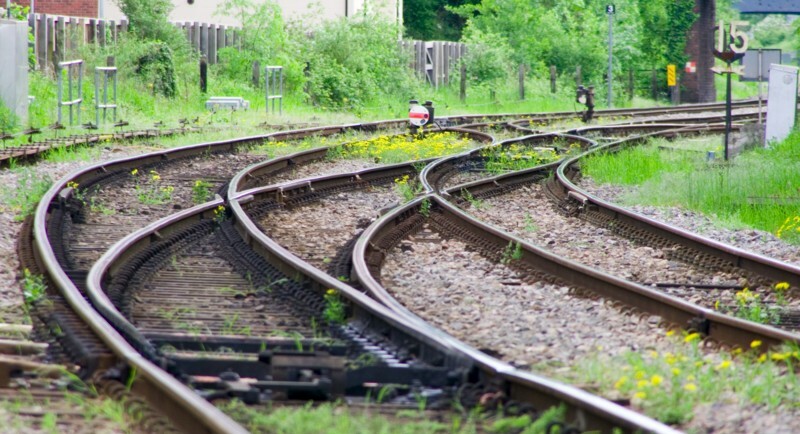 Because the lines diverge it is not uncommon to see both signals at this end simultaneously off. 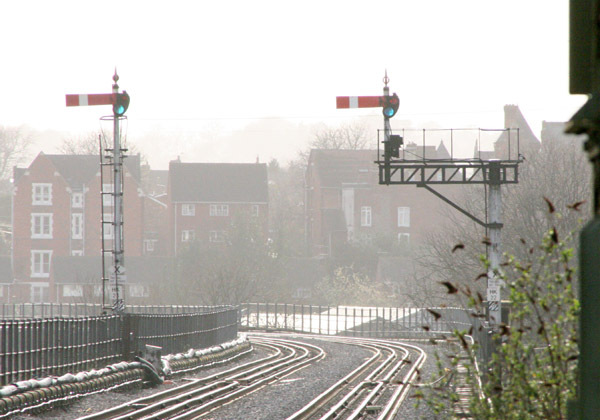 A great description of the Worcester signalling is now available in former signalman Matthew Morgan's great book The Worcester Patch. 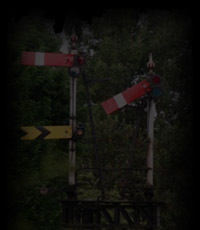 More information about the 1973 rationalisation can be found on the Railways in Worcestershire site run by the Malvern Industrial & Archaeology Circle.